Hi there! Today, I’m sharing my review for Amy Engel’s second novel in the Book of Ivy series, THE REVOLUTION OF IVY. This is a YA dystopian adventure/romance. Much higher on the adventure, and lower on the romance. 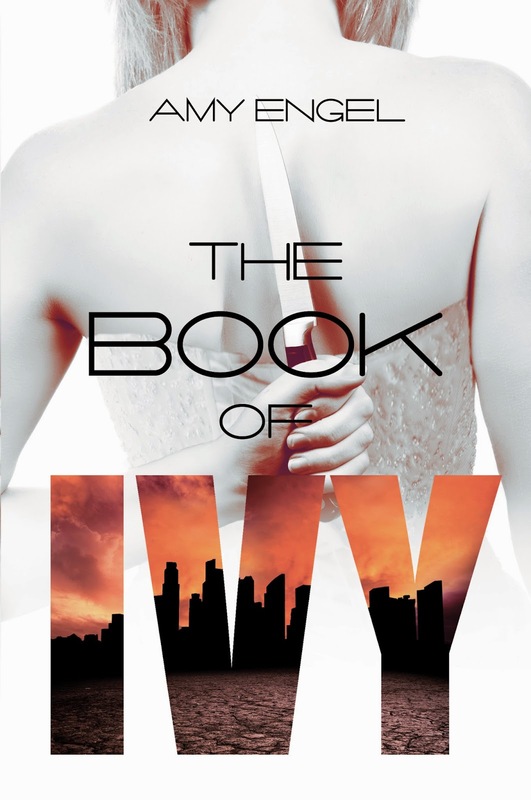 I loved THE BOOK OF IVY, and was eagerly expecting the sequel. I wasn’t disappointed! Check out my review, and get in on the prize pack giveaway below. If you have NOT read BOOK OF IVY, some spoilers below. 1. The world is in ruins due to war 50 years ago and collectives have endured these lean times. 2. Westfall is a town divided. One side is wealthy the other, not. At age 16 children from one side of the town are married to spouses from the other side, to prevent rebellion and foster amity. 3. Ivy Westfall’s family founded Westfall, but the Lattimer family stole the power and maintains the government. Ivy has grown up in the bad side of Westfall, and has been diligently trained to hate the Lattimers. Her elder sister, Callie, was supposed to be married to Bishop Lattimer, son of President Lattimer, two years ago, but he refused. Bishop wanted Ivy. 4. Ivy’s father and sister want Ivy to murder Bishop. 5. Ivy falls for Bishop. 6. Ivy refuses to kill Bishop. 7. Stuff happens and Ivy is put outside of the barrier fence that protects Westfall’s territory and water supply. This is, essentially, a death sentence. In Ivy’s case, she has little to no chance of surviving, but she manages to fend off two specific dangers, acquires a canteen and walks until she collapses. She is rescued by Caleb and Ash (Ashley) who tend her wounds and bring her into their settlement. They do not trust her, but she’s identified as Ivy Westfall, and there are enough refugees of Westfall around to ensure Ivy a welcome. She is afraid they will learn that she married, and (gasp!) loved Bishop Lattimer, as these people are outside the fence due to Bishop’s father’s “justice”. BTW some of them were put out for just cause, but many others were set out because they refused to accept their arranged marriages; they think Ivy was set out for this very reason and are sympathetic. During the weeks, Ivy, Ash and Caleb become friends. Caleb knows that Ivy is not telling the truth, but he cannot prove it. In the meantime, Ivy proves herself to be a quick learner and a hard worker. She gains other friendships, and feels a part of a community as she never did in Westfall–either side. Naturally, this all falls apart when Bishop arrives in the camp. There is animosity, but a steady growth of respect as Bishop sets out to prove he is “not his father’s son” (figuratively, peeps). Ivy can’t bear to be parted from Bishop again, but she also can’t get close to him, fearing that she’ll lose him all over again in this even harsher world than Westfall. I applaud Bishop’s patience, because I wanted to hit Ivy in the face for all her tentativeness. Live in the NOW, Ivy! LOL. Anywho, Caleb and Ash find that Bishop is awesome, and Bishop gets Ivy to do what she never has done: tell the truth, of herself and her feelings. It builds a strong bond that is tested when Ivy learns that Westfall’s in disarray and her family is at extreme risk. The end is a naturally gruesome affair, though it was a better situation than I did predict. I was satisfied in the reading. I still like Ivy, and adore Bishop and hope that this future world nevah-evah comes to pass. Funny thing, Ivy and Bishop’s marriage was annulled when she was put outside the fence. It struck me that Bishop never discarded the ring, nor did he ever plan to let Ivy go. His steadfast love was fairy tale in origin, and it made me (and Ivy) swoony. He never tries to dissuade her from her plans, and always seeks her counsel in decisions. He’s an excellent partner, a rock really, who only wants to love Ivy as she is, whoever she is. That was heart-warming. They do consummate their love, but it’s all off the page. As with all dystopian stories, I’d love a little more world-building, and some deeper survivor hardship on the page, but that’s not the biggest issue for me. Interested? 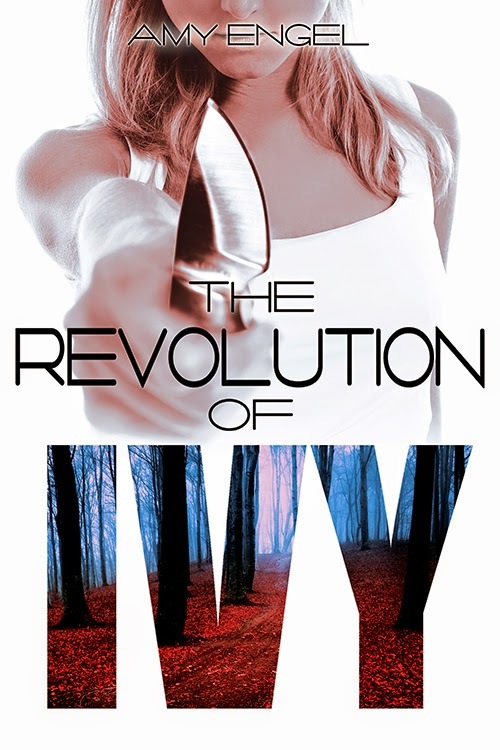 You can find THE REVOLUTION OF IVY on Goodreads, Amazon, Kobo Books, and Barnes & Noble. I really enjoyed this dystopian YA romance. Both Ivy and Bishop are excellent characters and I totally rooted for their HEA. (Didn’t happen, but I respected the heck out of Ivy. Check out my review for more details. Click the Rafflecopter link below for your chance to win a signed copy of THE REVOLUTION OF IVY, and a necklace! A second winner will win a signed copy of the book. Amy Engel was born in Kansas and after a childhood spent bouncing between countries (Iran, Taiwan) and states (Kansas; California; Missouri; Washington, D.C.), she settled in Kansas City, Missouri, where she lives with her husband and two kids. Before devoting herself full-time to motherhood and writing, she was a criminal defense attorney, which is not quite as exciting as it looks on TV. When she has a free moment, she can usually be found reading, running, or shoe shopping. 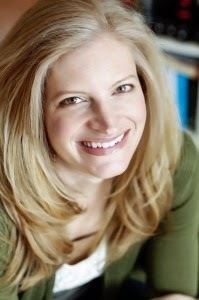 Find Amy online on her website, Goodreads, and twitter.